Use keyboard shortcuts to quickly start all your favorite programs! If you have one of those fancy keyboards, you may already use some of the extra keys to automatically start your favorite programs. If you don’t, did you know that this feature is already built into Windows and is super easy to set up and use? 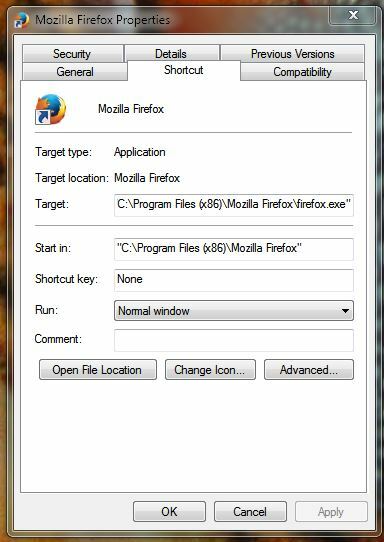 You will see I have selected the Firefox program, and I have the properties dialog box open. Step 4: Place your cursor in the “Shortcut key” dialog box which probably currently has “None” listed indicating there is currently no shortcut key sequence assigned to this program. Step 5: Press the key sequence that you want to use to automatically start the program. Note: Your system will prevent you from assigning a keystroke that is already assigned to another function. As you perform this step, you will see the keystrokes you are choosing, automatically appearing in the Shortcut key: dialog box. In my case, I have selected the Control, Alt and F key to automatically start Firefox. You also have the option to select Maximized, Minimized or Normal Window. You will see I have selected the maximized option. Once you are happy with the shortcut you have chosen, simply select OK and the process is complete. From now on, every time I press the Control Alt and F key together, my system will start Firefox, and start it in a Maximized window. For programs you use frequently, You will find that once you get your shortcuts all setup and committed to memory, it is much faster to use shortcuts to start your favorite programs than navigating to them in the start menu using your mouse.